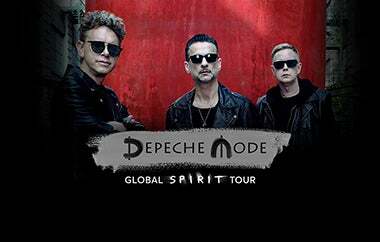 Depeche Mode brings Global Spirit Tour to Wells Fargo Center on Sunday, June 3. Tickets go on sale on Friday, February 16 at 10 a.m. exclusively through WellsFargoCenterPhilly.com or by phone at 1-800-298-4200 or in person at the Wells Fargo Center box office. The Global Spirit Tour has garnered worldwide critical acclaim throughout its run. Variety commented that “the group’s longevity and visceral live performances are a testament to their status as both legends and rock stars,” NME called the band’s London set “flawless” and “immaculate,” and the LA Times praised Depeche Mode’s Dave Gahan as one of the “great front men of his era.” The Global Spirit Tour is in support of the band’s 14th studio album, Spirit, released in 2017.